London, Stockholm, Barcelona. 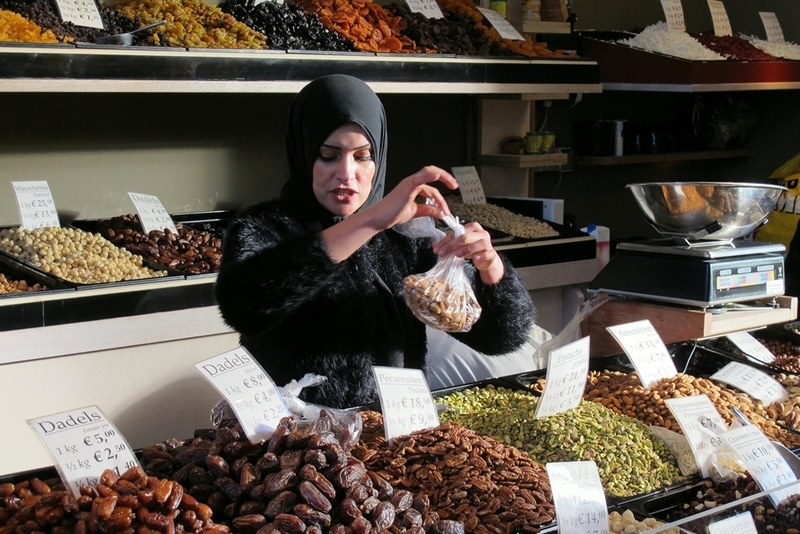 Many large cities have indoor food markets. And now our hometown has one too: Markthal Rotterdam. Curious about the plans, in 2009 we visited the Markthal Rotterdam information center, and studied some artist impressions an a 3D model. Although the horseshoe-shaped arch by architect Winy Maas was a bit to bold and unrefined for us, the overall concept enthused us immediately. 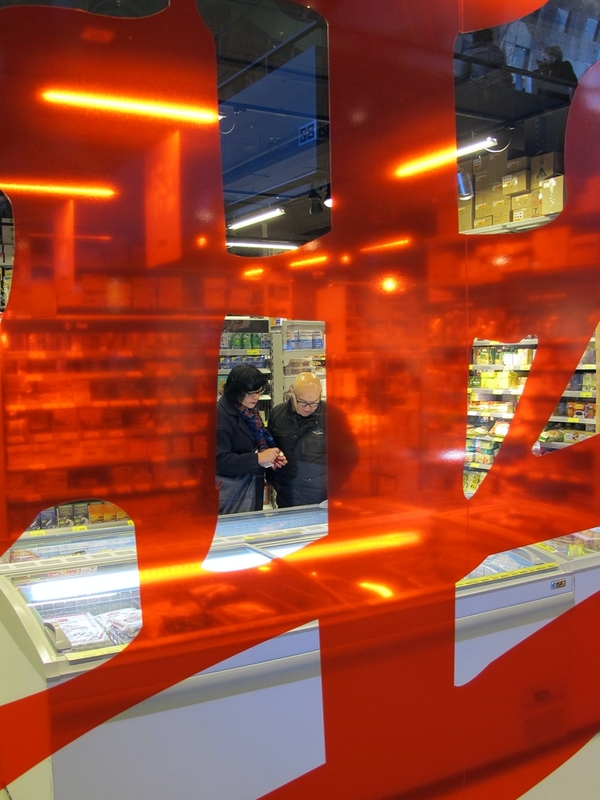 Rotterdam would build the first indoor food market in the Netherlands. In combination with apartments in the canopy, this would be a unique building worldwide. 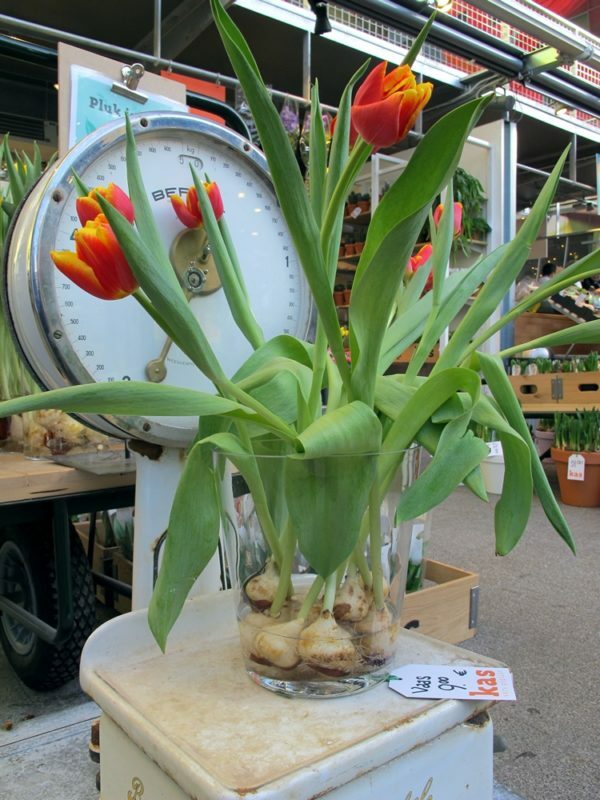 Since October 2014, this Rotterdam food market is open to the public. You can visit this spacious market hall with a spectacular graphic designed ceiling of 11,000 square meters. 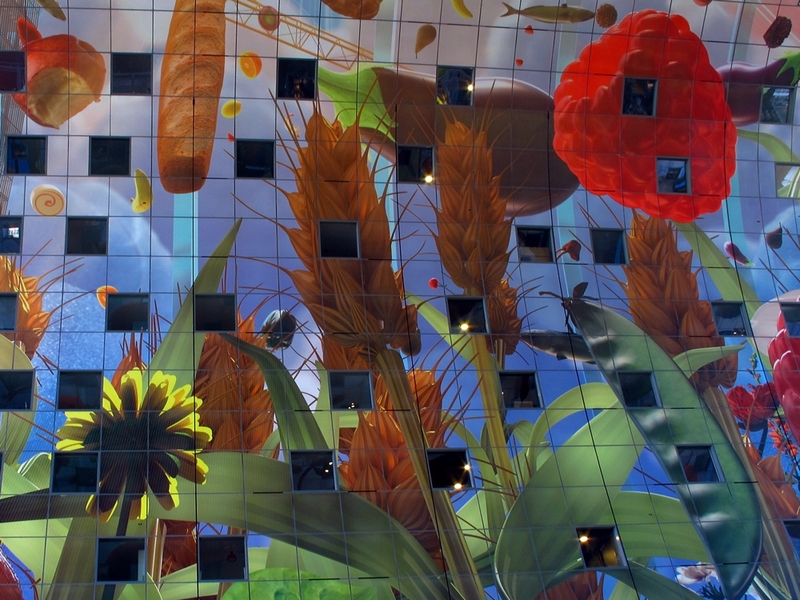 This colorful creation made by Arno Coenen and Iris Roskam is called Cornucopia, a contemporary variation on still lifes of famous Dutch painters. The market hall was soon nicknamed the Rotterdam Sistine Chapel. Of course they do not compare, but at least it’s a nice compliment. Walking through the city we are constantly drawn to it. And we are not the only ones. 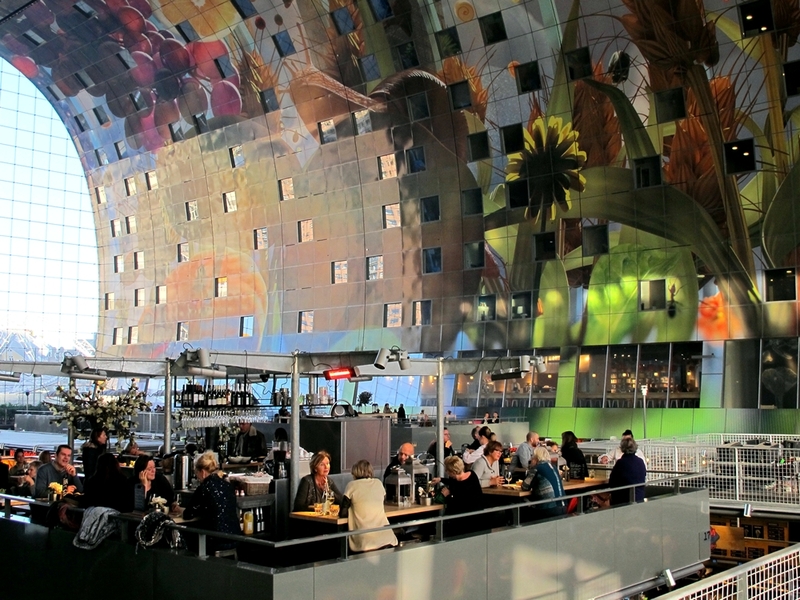 The Markthal Rotterdam obviously has a great appeal to city residents and lots of visitors from home and abroad. 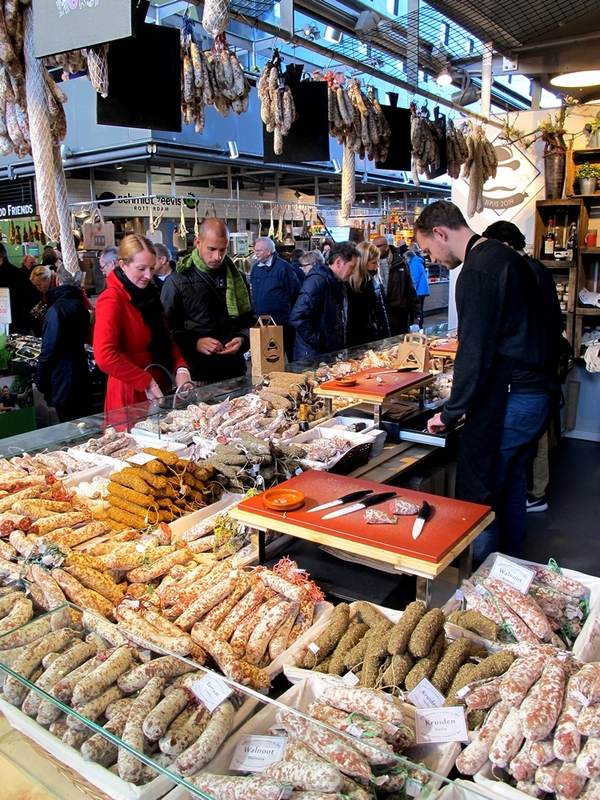 We like to go there for a bite, a cup of coffee, or to buy some fresh fish, sausages, bread, vegetables, nuts and cheese. 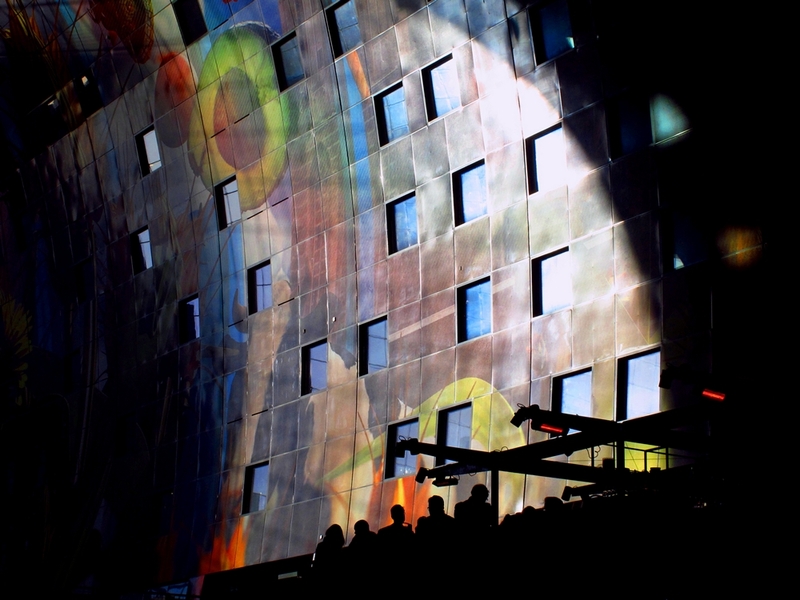 But we also like to visit the Markthal, because there is so much to see. Even the homes in the canopy provide remarkable moments! During a dinner at one of the restaurants, we saw a young man dancing in front of his bedroom window. In order to be seen or unaware, we couldn’t tell. 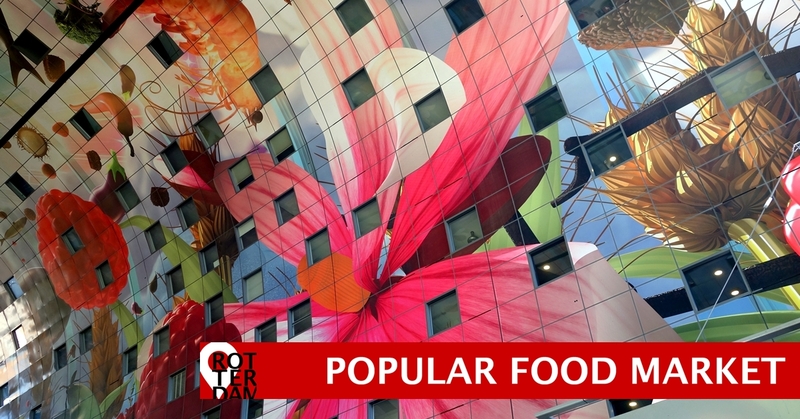 The self-created title ‘Food Valhalla of the Netherlands’ might be a bit too pretentious, but even Jamie Oliver is excited about the Markthal Rotterdam. The famous TV chef opened the first Dutch branch of ‘Jamie’s Italian’ here. “I can’t wait to get started on our first site in Rotterdam’s Market Hall, right next to the historic market”, Jamie said earlier. 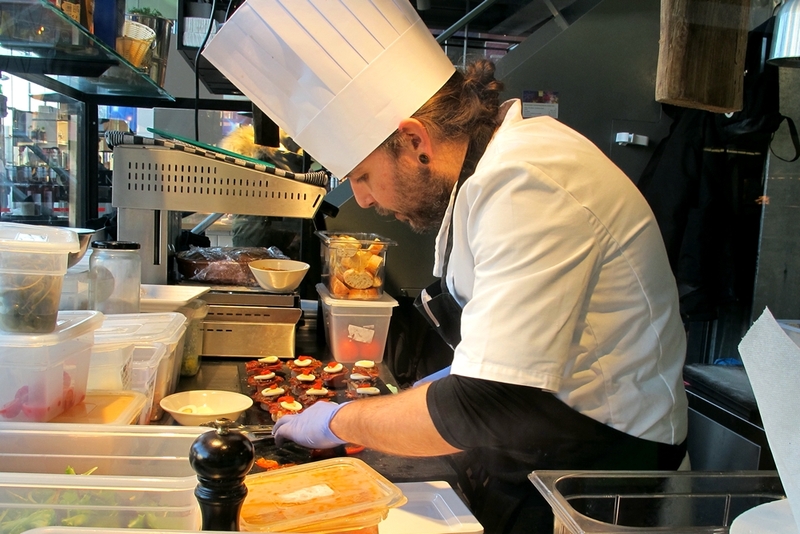 We aren’t surprised this celebrity chef wants to be part of this great ambience.